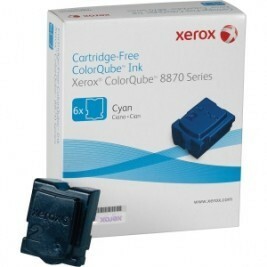 With its high price tag, the Xerox ColorQube 8870 may seem like a color printer that will drain money, but thanks to its very inexpensive ColorQube 8870 printer ink replacements, offices can keep running costs to a minimum. Due to the initial price, users should expect quality output and speed, and it doesn't disappoint, printing up to 40 pages per minute for color and monochrome projects. 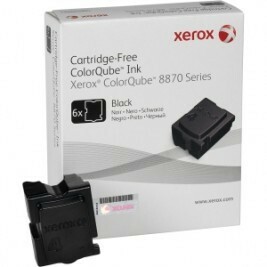 If users want a solid ink device with duplexing and networking the manufacturer also offers the 8870DN model. 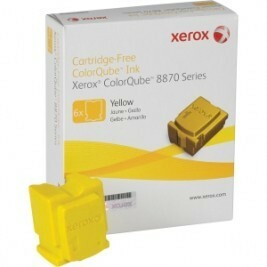 The 8870 provides a variety of features to ensure sharp and detailed output, including image smoothing and Pantone digital color technology that uses ColorQube 8870 solid ink for precise accuracy. 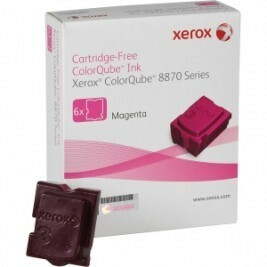 The unit is able to produce color and monochrome documents with a maximum FinePoint resolution of 2400 dpi using Xerox 8870 printer ink. Other elements include a standard media capacity of 625 pages and 512 MB of memory, upgradeable to 2 GB. 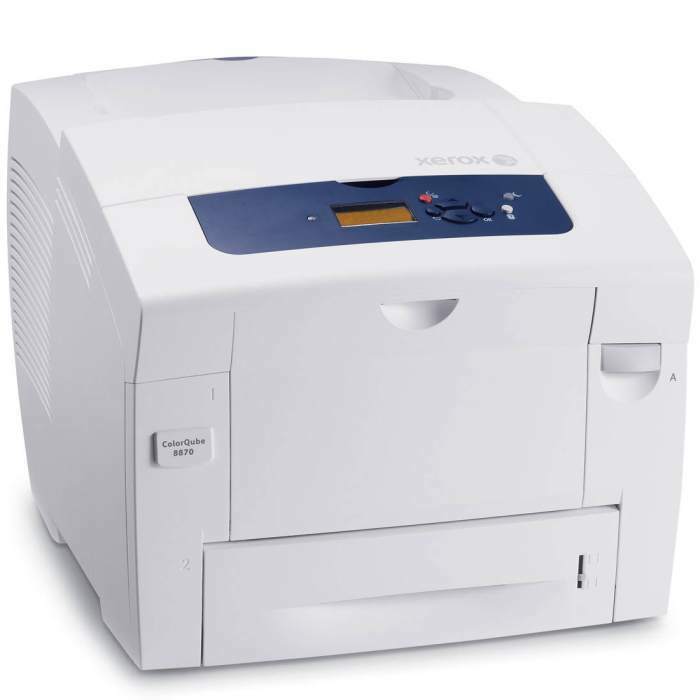 With a maximum monthly duty cycle of 120,000 pages and a recommended 15,000 pages, the device is capable of supporting large-volume offices. To have more control over projects, offices are provided with PrintingScout Alert notification software for documents in progress and printing errors, as well as reports on the life of supplies so users will know immediately when replacements need to be purchased. 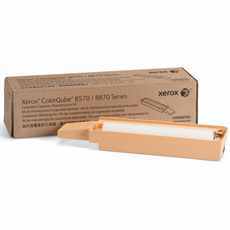 While this device has the fast speeds typically characterized by laser printers, its design uses solid Xerox 8870 ink sticks that are generally cleaner and less expensive to replace than toner. 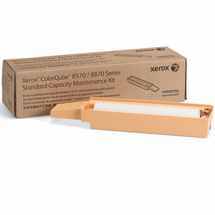 It uses 4 separate Xerox 8870 ink sticks, each cyan, magenta and yellow supply yielding up to 17,300 pages and the black lasting for around 16,700 pages. It's expensive asking price is a costly setback, but the printer also benefits from high-capacity and affordable supplies, as well as features capable of supporting large volumes. Those that can overlook the asking price and want a quality device with low running costs and clean results will like the 8870.